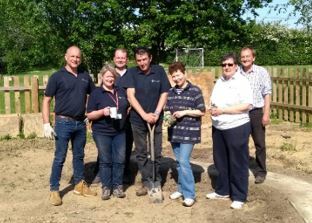 Acts of Service Initiative- Creating a Garden Space with Catfield Primary School. We are delighted to announce that we’ve recently partnered with local school Catfield Primary as part of our ‘Acts of Service Initiative’. The aim of the Initiative is to do good in the local community, and so we approached Catfield Primary to see if we could work with them as a local business. 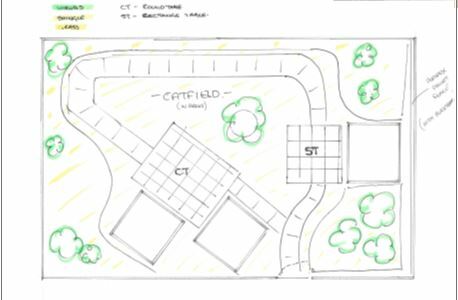 They were hugely accommodating, and it was agreed that a team from Trend would work on an unused space within the school grounds to create a small communal garden for both students and staff to enjoy. Business Systems Manager – Paul Rumsby came up with the design for the space and hopefully we will be able to come close to recreating it over the coming weeks, allocating a small amount of time to the project . We’re very pleased to be working within the local community and would like to thank those involved so far for their hard work. We look forward to updating you as the project progresses.